On October 22, 2012, the Chief Justice of the Land Court, Karen F. Scheier, issued a Decision in favor of the Plaintiffs in the case of Elizabeth C. Waldron, et al. v. Northern Avenue Homes, Inc., et al., 08 MISC 374551 (KFS). The Plaintiffs in the lawsuit questioned whether Northern Avenue Homes, Inc., and Living City Properties, Inc., two corporations operated by the late Douglas Kohl, a prominent area developer, had easement rights over “paper streets” off North Street in Northampton. Northern Avenue Homes argued that a plan of land recorded in the Hampshire County Registry of Deeds on May 29, 1913, created a right of way that would allow Northern Avenue Homes to use a portion of the paper streets to access a proposed condominium project previously approved by the City of Northampton. A two-day trial took place in July, 2010, involving 56 exhibits, five witnesses and extensive evidence presented at trial. Attorneys Brad A. Shimel of Northampton and Alan Seewald of Amherst represented the Plaintiffs. The Court ordered and adjudged that Northern Avenue Homes and Living City Properties, Inc. do not have easement rights of access and egress over the portion of the paper street owned by four of the Plaintiffs. Northern Avenue Homes and Living City Properties, Inc. are prohibited under the Court’s Decision from acting in such a way to interfere with the rights of the Plaintiffs to use their lots as shown on the 1913 plan of land free and clear of any access rights in favor of the Defendants. The Decision effectively prevents Northern Avenue Homes and Living City Properties, Inc. from using the paper street to provide access to the proposed condominium project. See below for the full text of the Decision of the Land Court via Scribd. Although the developer can use View Avenue to get to the site, the restriction spelled out by the Land Court would make access problematic. Because the plan approved by the Planning Board shows the easement and relies heavily on it, Seewald said the developer will probably have to go back to the board with a new plan. Parker said if the appeal is successful, the company plans on moving ahead with the project as previously approved by the city. 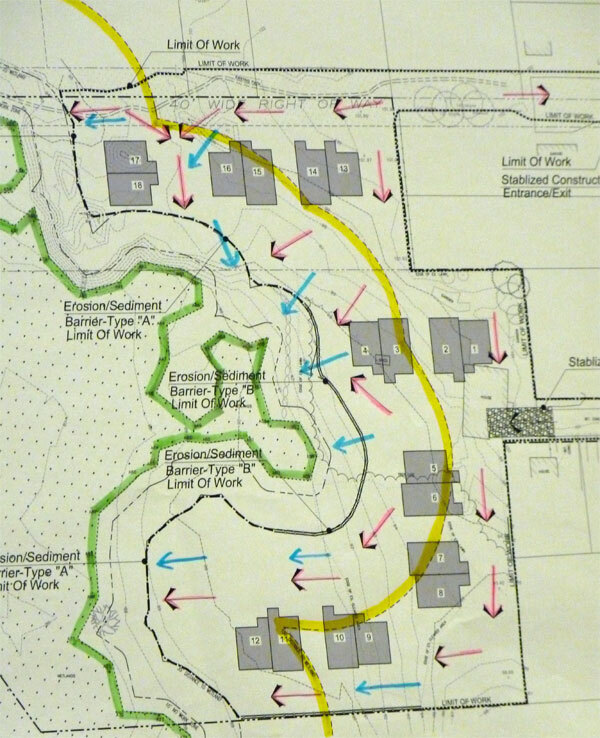 The October 2012 Land Court ruling affects parts of the “40′ Wide Right of Way” shown below. Kohl Construction Plans, Neighborhood News, NSNA in the News. permalink.